Seton's Vinyl Tapes are backed by our 100% Satisfaction Guarantee! Select from a wide variety of Vinyl Tapes at competitive prices. Plus most of our top-quality Vinyl Tapes are in stock and ready to ship today. Interior vinyl warning tapes clearly mark specific areas in your warehouseinterior vinyl tape - orange/black striped 2" x 54 ft. Interior vinyl warning tapes clearly mark specific areas in your warehouseinterior vinyl tape - white arrow on red 2" x 54 ft. Interior vinyl warning tapes clearly mark specific areas in your warehouseinterior vinyl tape - yellow/black striped 2" x 54 ft. Interior vinyl warning tapes clearly mark specific areas in your warehouseinterior vinyl tape - black arrow on yellow 2" x 54 ft. 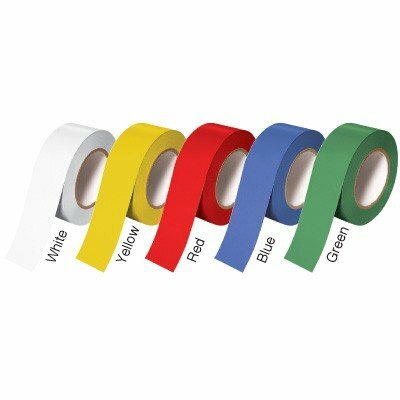 Interior vinyl warning tapes clearly mark specific areas in your warehouseinterior vinyl tape - red & white checked 2" x 54 ft. 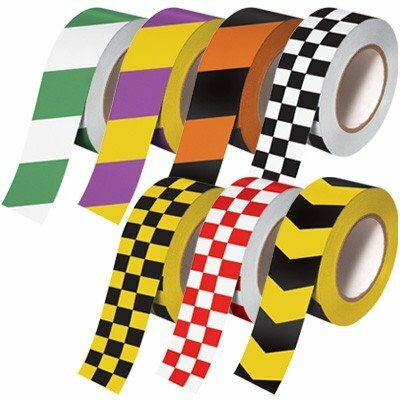 Interior vinyl warning tapes clearly mark specific areas in your warehouseinterior vinyl tape - yellow & black checked 2" x 54 ft. Exterior vinyl warning tapes withstand harsh weather conditions. 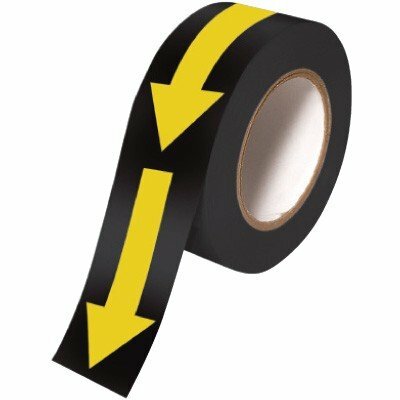 Interior vinyl warning tapes clearly mark specific areas in your warehouseinterior vinyl tape - black / yellow directional arrow 2" x 54 ft. Interior vinyl warning tapes clearly mark specific areas in your warehouseinterior vinyl tape - yellow & white checked 3" x 54 ft.